When I listened to my voicemail this afternoon, my friend from the pound was on it, asking me for help. She sounded a little frantic, so I called her back immediately when I heard the message and felt a little guilty because it was three hours after she had placed the call. When she was at the spay and neuter clinic that was being held today, someone walked in with a litter of five puppies. The story the woman gave was that she found the mother dog and these five puppies. She said she couldn’t keep the puppies, but she would keep the mother dog and did not bring the mother dog with her. 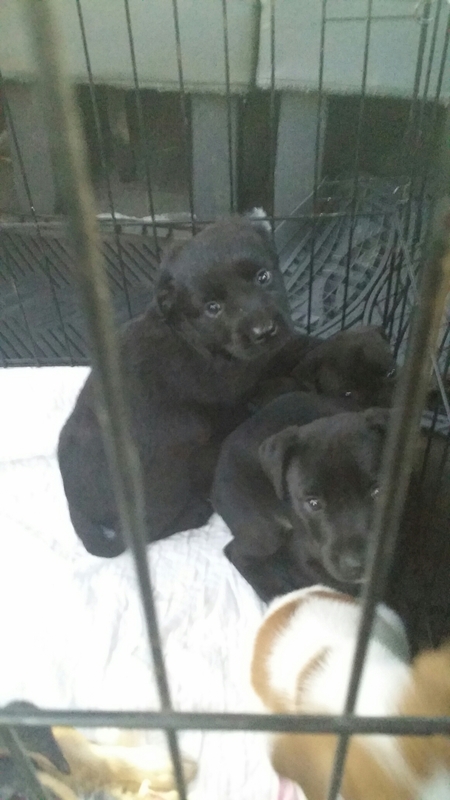 My friend took the puppies and then got another call today about another stray mother dog and her litter of puppies. She was able to catch three puppies from the second litter, but one puppy took off with the mother dog and they could not find either. 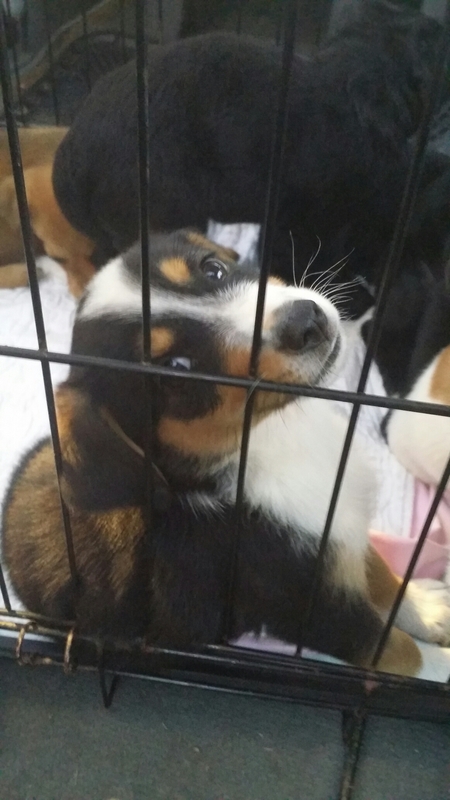 Now there were eight puppies sitting in the pound, too young to be adopted out. 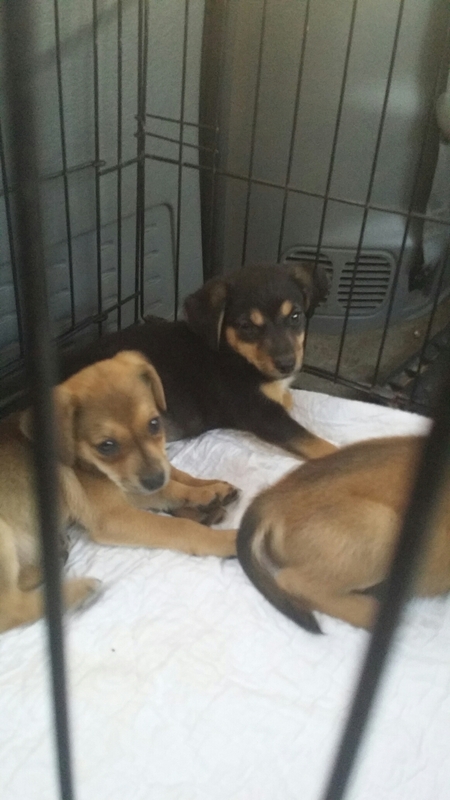 I went to the pound, bracing myself the entire way and telling myself I would only be taking home the three wild unsocialized puppies so I could give them the best chance at getting a home because the other five were very friendly toward people. 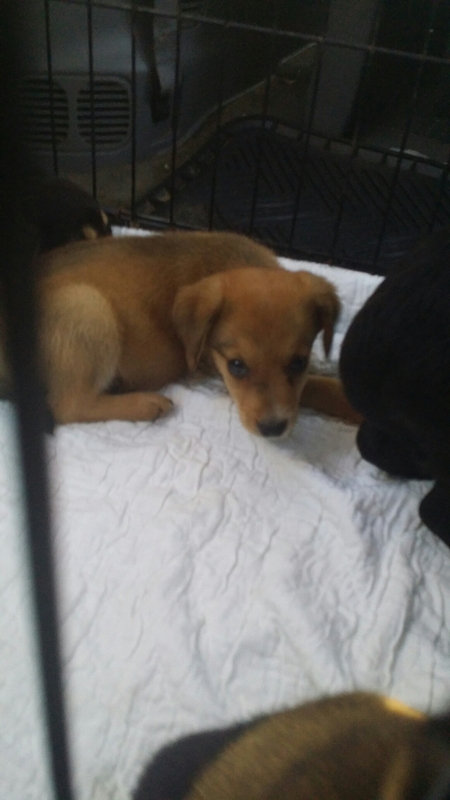 When I got there, I went to the cage and looked at all eight of these little puppies, and I said to my friend exactly what I had been telling myself about the three. She asked me to please take them all so they wouldn’t have to stay in the pound, and she told me they would all be going to rescue between Thursday and Saturday of this coming week. Of course, I have all eight in my van coming home with me, and I am going to do my best to make sure they are all accustomed to people and ready to find their forever homes within the week. Seriously, could you say no to any of these little faces?